Game Qualities: The black's immense strength and exceptional size makes it a favored target among big-game fishermen. A fight with one of these fish can last for hours, wearing severely on the angler as well as the tackle. Anglers commonly troll brightly colored lures or rigged baitfish to catch this species. 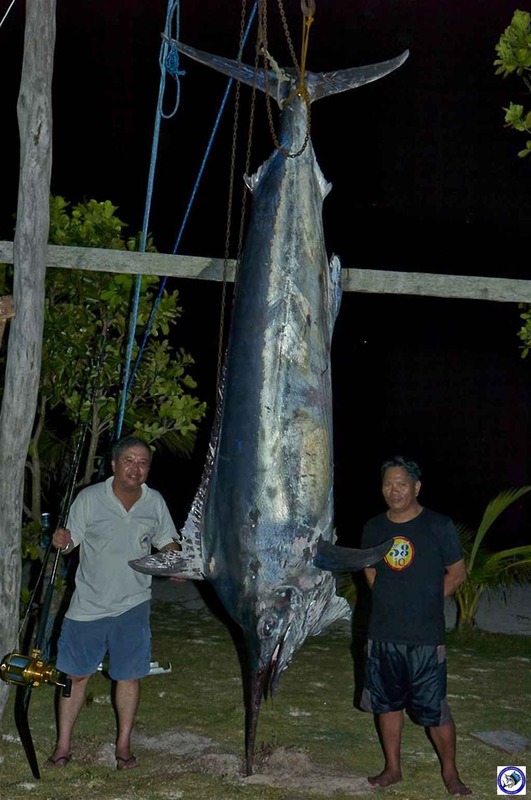 As a result of the depleted stocks, many sport fisherman are now tagging and releasing their catches. Tackle and Bait: While many Blacks have been caught on lighter outfits, the standard is a good balanced ocean trolling outfit in the 5-pound or even 80-pound line class. 3. Rigged natural baits, such as Mullet, Mackerel, Bonito, Barracuda, extra-large Ballyhoo ("Horse Ballyhoo"). such as along weedlines or around seamounts and other well-established grounds, live bait is usually preferred. Fishing Sysytem: Sometimes Drifting; Trolling. Description: The black marlin is the only marlin with non-retractable fins. Another distinguishing trait is their dorsal fin which is proportionately the lowest of any billfish. It stands less than 50 percent of the fish's body height. 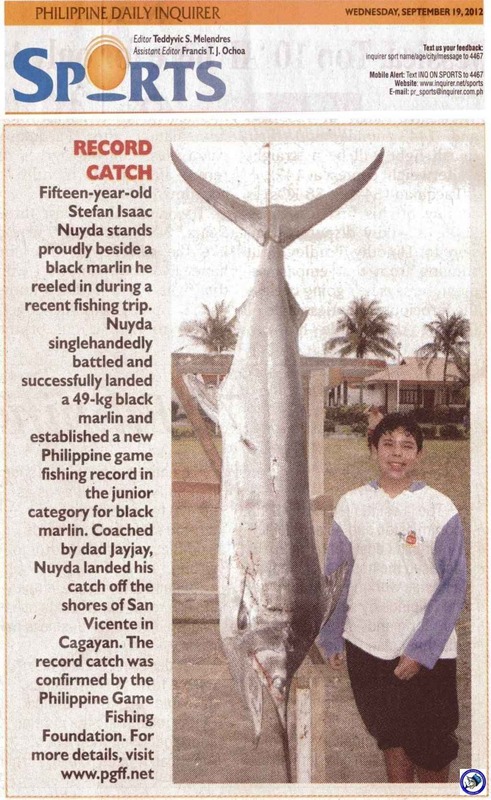 The black marlin's back is slate blue and transitions to a silver belly. It may also have light blue stripes when excited. 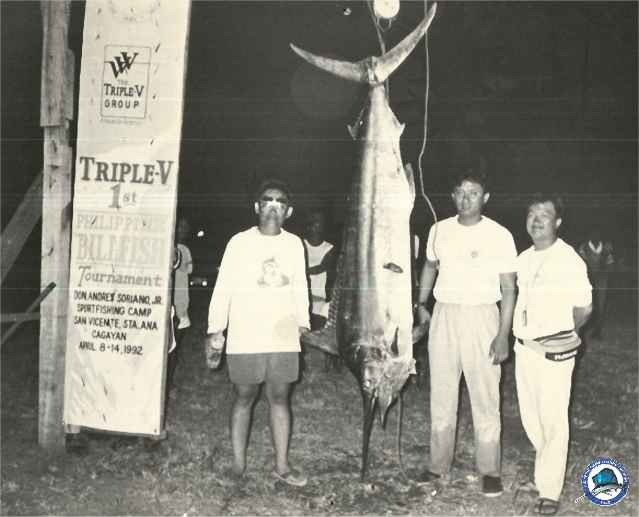 Habitat: Black marlin generally exist in the tropical and sub-tropical regions of the Pacific and Indian Oceans. They are a highly migratory, pelagic species that will rarely swim deeper than 100 feet. They are most commonly found in deep waters, near such prominent bottom structures as continental shelves and reefs.